It's impossible to overstate the impact of the 2017 hurricane season on the Caribbean, but an even bigger crisis looms on the horizon as tourists begin to cancel their yearly visits and rethink their wintertime getaways. 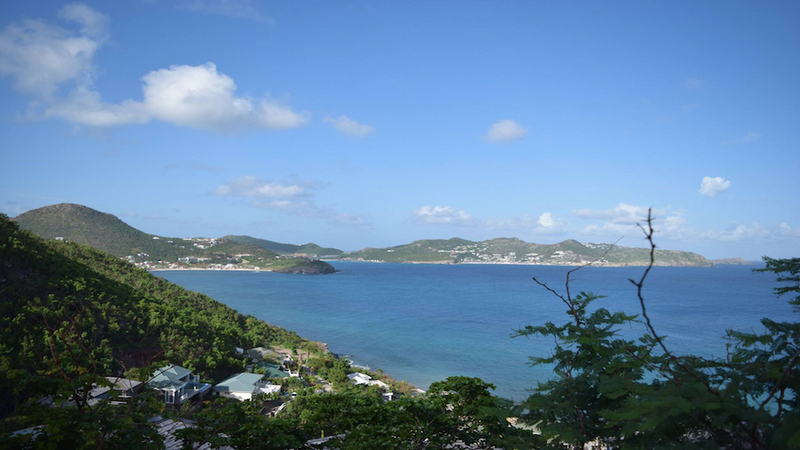 But while repair efforts are still frantically underway on many of the Caribbean islands like St. Maarten and Anguilla, St. Barths got a head start in reconstruction following Hurricane Irma that struck much earlier in the season. The effort to rebuild St. Barths is frantic, with attempts to get as much of the island's restaurant and nightlife infrastructure up and running before high-season that begins in late December as possible. Here's our take on what to expect of St. Barths this season - you’ll probably be as surprised as we were. First the bad news... Almost all of the island's hotels suffered significant damage in the hurricane. This means glittery addresses like Eden Rock, Cheval Blanc, Le Barthelemy, Le Toiny and Villa Marie won't reopen until mid-2018. Air service, however, is back in place with Winair's 3-4 daily St. Maarten to St. Barth flights and Tradewinds service from San Juan and Antigua earlier this month. The first cruise ships are expected this weekend, which will be a much welcomed sight. Visitors should also expect some changes at the beach with Lorient, Shell Beach, and the western part of St. Jean Bay still closed. La Plage, Shellona and Toiny Beach Club should open in time for the holidays, but Nikki Beach, Mango and Bonito won’t be back until March. To the surprise of many, including us, most of the islands are back in business with Le Select, Le Ti, Esprit de Jean Claude and beloved Isola already open and Black Ginger, Tamarin, and Maya's to Go a few weeks away. “The vibe on St Barths will be different this year, that is certain,” says Stiles Bennet, President & CMO of JetSetReport favorite, Wimco Villas that is the leader in villa vacations in St. Barths and the Caribbean. With only 10% of the island’s hotel rooms on line for this season, the island will have a residents feel not encountered in years. “While most top restaurants and local businesses will be open,” says Bennet, “many of the larger hotels on the island will not be open for the holidays, so renting private villas will be the primary option for most vacationers who want to be on the island for the holidays.” And as for anyone visiting for the holidays this year? “The recovery is well underway, the island is cleaning up and greening up, restaurants and businesses are opening, and everyone is gearing up for a smaller, and perhaps more intimate New Years.” St. Barths might be down, but don’t count them out.